On June 15, 2017, the California Legislature passed Assembly Bill 102, which transfers nearly all tax administration and appeal functions from the BOE to two new tax departments: the Department Of Tax And Fee Administration (“DTFA”) and the Office Of Tax Appeals (“OTA”). Starting January 1, 2018, California State tax appeals will be heard by the Office Of Tax Appeals (“OTA”). Created by the Taxpayer Transparency And Fairness Act Of 2017, the OTA will replace the appellate process once handled by the State Board of Equalization (“BOE”). The BOE handles the enforcement of various types of state taxes – most notably Property Taxes and California Sales & Use Taxes. The OTA will hear and determine all appeals that involve corporate income tax, corporate franchise tax, personal income tax, sales tax, and use tax. If a taxpayer disagrees with the audit findings involving any of these taxes which are reflected on a Notice Of Action or a Notice Of Determination, the taxpayer may file an appeal with the new OTA by the “appeal date” listed on said notice. As of October 1, 2017, any such notice that gets issued will include an insert containing information about appeal rights and the OTA’s contact information. As of October 1, 2017 all appeals need to be filed with OTA, and beginning January 1, 2018, OTA’s three-member panels will hear and determine all appeals. The BOE will cease hearing these appeals after December 31, 2017. The BOE was constitutionally created in 1879 with a mandate that property taxes would be fairly assessed and collected across California. Since that time, the BOE’s statutory authority has been expanded to administer the state’s sales and use tax and numerous other state taxes and fees. In addition, the Board, comprising four members elected from districts and the statewide-elected State Controller, also hears and decides tax disputes. Until the change in the law, California was the only state in the United States where administrative tax disputes were heard by elected representatives. Not only was it allowed but also it was encouraged that taxpayers (or when represented, their attorneys) contact each government official sitting on the five-member BOE panel in ex-parte communications to promote the taxpayer’s position in advance of the hearing. On June 15, 2017, the California Legislature passed Assembly Bill 102, which transfers nearly all tax administration and appeal functions from the BOE to two new tax departments: the DTFA and the OTA. The BOE still retains its constitutional duties which going back to its historical roots is the oversight of property taxes and assessment of state-assessed properties. Both the DTFA and OTA would be under the control of respective directors, each appointed by the governor and subject to confirmation by the California Senate. The DTFA will be based in Sacramento and will administer state and local sales and use taxes, fuel and tobacco excise taxes, and a variety of other taxes and fees. The new law has no impact on State income tax audits which will still be conducted by the Franchise Tax Board (“FTB”) or employment tax audits which will still be conducted by the Employment Development Department (“EDD”). OTA would hear sales and use tax appeals from the DTFA and personal and corporate income tax appeals from the FTB. 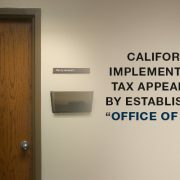 The OTA was designed by the State Legislature to operate independent of any other State tax office and provides a venue where disagreements concerning the application of California State tax law can be resolved on a fair and impartial basis for both the taxpayer and the government. The OTA is supposed to take a fresh look at a taxpayer’s case and consider the strengths and weaknesses of the issues in the taxpayer’s case. The advantage of appealing a California State tax audit to this level provides the taxpayer with the opportunity to reach a mutually acceptable settlement without expensive and time-consuming court trials. This approach follows what the IRS and over half the State Tax Agencies have been doing for many years. Within the OTA, there will be tax appeals panels consisting of three administrative law judges (ALJ’s). These ALJ’s must have state tax experience and each be a member of the California bar. OTA headquarters will be in Sacramento, with hearing offices in Sacramento, Fresno, and Los Angeles. The ALJ’s must issue written opinions for each appeal. Although the OTA is not a judicial body or a tax court, it is now a step in California Tax Procedure for taxpayers to challenge tax audit decisions. Furthermore, decisions of the OTA can be appealed to California Superior Court for a “de novo review”. “De novo” is a form of appeal in which the court holds a trial as if no prior trial had been held. Looking To Appeal A California State Tax Audit Report To The Office Of Appeals? When taxpayers disagree with the findings of their California State tax audits, they may usually appeal to the OTA. The auditor agent will issue a Notice Of Determination to a taxpayer, which essentially provides the taxpayer with the opportunity to file a Tax Protest requesting his or her case be heard by the OTA. Hiring an experienced tax attorney should make a difference in getting the best possible result. The attorneys of the Law Offices Of Jeffrey B. Kahn, P.C. with locations in Orange County, San Francisco and elsewhere in California know how best to communicate directly to tax appellate bodies including the OTA and build a persuasive case on your behalf because we know how to present your case with legal argument and tax authority. Using a tax attorney to help with an appeal can significantly increase your chances of getting a better outcome. Many times individuals don’t realize that appeals can go both ways, you may actually end up being owed money after the appeal. A tax attorney can analyze your situation and find the best approach to take in order to get the best outcome. The IRS actually prefers working with professional tax representatives because it makes their job easier and helps the process move along more efficiently, which can actually result in a more favorable decision. We will communicate directly with the Appeals Officer and build a persuasive case on your behalf because we know how to present your case with legal argument and tax authority. Of course, if we cannot reach agreement with the Appeals Officer, then we have the opportunity to appeal the case to the U.S. Tax Court. Every taxpayer who is being examined in a tax audit has the right to dispute the auditor’s final determination. You do not have to accept the auditor’s findings if you believe any or all of the adjustments are wrong and/or penalties should not be imposed. Your best bet is to contact a California tax attorney who can effectively start the appeals process. Many people who have lost an IRS audit have seen the amount they owe in taxes reduced or even eliminated after hiring a tax lawyer in San Diego or elsewhere to help with them challenge the auditor’s decision. Once the auditor issues the final determination, you have up to 30 days to file an appeal with the IRS. By working with a tax attorney, an effective and complete written protest letter is prepared and filed with the IRS Office Of Appeals challenging the determination. The IRS Office Of Appeals is a division of IRS that is separate from the Examination Division that performed your initial audit. This is done to ensure a level of transparency and fairness during the appeals process. Within the next few months the IRS Office Of Appeals will notice you and your representative that the appeal as been assigned to an Appeals Officer. The appeals process can be complex especially when the issues involve the correct interpretation and application of sometimes archaic tax provisions. Therefore, you want to make sure you are prepared for your appeals hearing in order to secure the most favorable result. This includes collecting all of your relevant tax records and information ahead of time. You’ll also want to try and get as much information about the original tax audit as possible. You can file a Freedom of Information Act request on the auditor’s records — this will let you know the information they based their original decision on. Even if your appeal has been denied or you disagree with the decision of the Appeals Officer, you are not out of options. The Law Offices Of Jeffrey B. Kahn, P.C. can help you to file a Petition in Tax Court to get the amount you owe reduced or eliminated. Many people who have lost their appeal have had the amount of their tax debt lowered by disputing the proposed adjustments in Tax Court. The Law Offices Of Jeffrey B. Kahn, P.C. 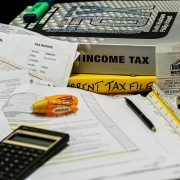 has helped many people appeal their tax audit. Working with a tax attorney is the best bet for reducing or eliminating the amount you owe. The Law Offices Of Jeffrey B. Kahn, P.C. has some news of particular interest to small business owners. The Internal Revenue Service has given small businesses a chance to expedite the audit process with its new Fast Track Settlement program. Under the terms of the program announced by the IRS in November 2013, small business owners can work with their IRS audit attorney to avoid the formal litigation or administrative appeal process. In most cases, the FTS program means that audit issues are taken care of within 60 days. The Fast Track Settlement program is modeled on a program that has previously existed for medium-sized and large-sized businesses with more than $10 million in annual income. A pilot version of the program started in 2006 and was expanded in 2008 and the IRS is now extending it to all small business owners. It’s important to keep in mind that the Fast Track Settlement program doesn’t guarantee a positive resolution to your dispute which is why you’ll still want to hire IRS tax attorneys who understand the regulations to fight on your behalf. But what this program offers is to speed up the entire process, saving small businesses from potentially lengthy and costly litigation. Although the Fast Track Settlement is presided over by an IRS appeals officer who is supposed to be acting as a “neutral party”, that Appeals Officer will not be able to provide you with any guidance or advice. Because of this, it’s a good idea to work with an experienced San Diego tax lawyer with the Law Offices Of Jeffrey B. Kahn, P.C. to represent you during this phase of the process.